How can Hong Kong stay globally competitive? "Belt and Road" is a priceless opportunity that will considerably strengthen Hong Kong’s standing as an international financial centre. It is Hong Kong’s lasting values that make it unquestionably the best place from which to manage our expansion into the region and to connect customers to emerging opportunities from changing patterns of trade and investment. This is the bedrock of Hong Kong’s success – and the reason that it has been consistently crowned one of the top 5 leading international financial centres. What truly sets Hong Kong apart today is also the combination of the following: Hong Kong does have – and Hong Kong’s businesses do have – privileged access tomainland China and the Pearl River Delta through “One Country, Two Systems” and CEPA; The internationalisation of the renminbi and Hong Kong’s unrivalled status as the world’s leading offshore renminbi centre; and The breadth and depth of Hong Kong’s capital markets. Hong Kong’s success will be assured by it continuing to capitalise on these distinct advantages and its unrivalled access to mainland China’s companies and markets. As part of the world’s next great conurbation – the Pearl River Delta, covering the cities of Hong Kong, Macau, Guangzhou, Foshan and Shenzhen – it already boasts physical, economic and financial links to the engine room of the mainland economy. No other centre has such a privileged place, and in my view Hong Kong will continue to be the financial gateway to the Mainland. I want to focus on three areas in which Hong Kong can increase its global competitiveness, and build on the advantages it already possesses: The first is the potential for the Belt and Road initiative. The second is the internationalisation of the renminbi; and The third is the continuing capacity of Hong Kong to meet the changing nature of trade. “Belt and Road” is a priceless opportunity that will considerably strengthen Hong Kong’s standing as an international financial centre. According to the China Development Bank, around US$900 billion worth of projects are currently underway or planned under Belt and Road. They will require an immense amount of financing, a large and growing proportion of which will be conducted in renminbi. While the public sector will be the major fund provider and investor for Belt and Road projects, the private sector will provide its share, and most importantly will provide structuring and advice. Hong Kong is not just an offshore renminbi centre, but a centre of both project finance and debt issuance. It is therefore perfectly placed to serve as the platform where Belt and Road financing needs are met through private sector debt or equity financing. Not only will this generate considerable business, it will broaden and deepen Hong Kong’s debt markets, which some believe necessary to make Hong Kong a more “complete” international financial centre. We have a fantastic equity market. It will also be crucial to developing the growing market for green finance. Infrastructure and green finance go hand-in-hand, especially in emerging markets which rely on carbon-intensive energy for economic growth. As Belt and Road expands and modernises infrastructure across Asia and beyond, environmental sustainability will be a central feature of practically every project. It will also become an increasingly integral part of project financing as countries across the world strive to meet the targets they adopted at the COP21 meeting in Paris in December of last year. The achievement of a global agreement on climate change at COP21 committed countries to making the transition to a low carbon economy and China was a part of that. Clearly, this comes at a price. The global cost of the transition to a low carbon economy is estimated at US$93 trillion between now and 2030. China alone estimates that it needs 2 trillion yuan – or US$350 billion – over the lifetime of the 13th Five Year Plan to meet its targets, with US$77 billion needed purely to tackle air pollution. Financing this change requires a switch from bank finance to bond finance. The market for green bonds is already growing quickly, with a record US$41 billion being raised in 2015. We expect it to grow even further in 2016, but even then it’s going to be a long way short of the amount required. 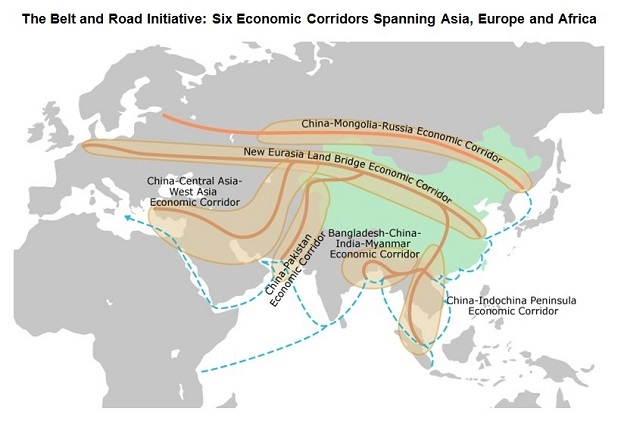 Clearly there is a huge amount of room for expansion, and Hong Kong has an opportunity to play a very big part in this, with Belt and Road as an additional catalyst. Mainland China has high aspirations to build a green bond market, but it currently lacks the infrastructure to build scale and breadth. This will develop over time, but China’s projects and China’s companies need to raise the finance to meet their targets right now. That’s nowhere more true than the Pearl River Delta, which is one of the ten most vulnerable urban areas in the world in terms of climate risk. The depth of our markets here in Hong Kong, combined with our strong links across the Pearl River Delta, make it the natural choice for Chinese companies seeking to raise climate finance from international markets. The fact that the first green corporate bond issued by a Chinese company was hosted here in Hong Kong already provides a considerable advantage in marketing Hong Kong’s strengths. 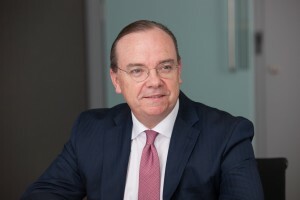 And whilst other centres are gaining a reputation for green bond issuance – particularly London – they lack the proximity and the market access of Hong Kong. Given the future size of the green bond market and the opportunity presented by the Belt and Road initiative, there is a clear advantage in building a reputation for this rapidly growing asset class right now. The second area of opportunity concerns the internationalisation of the renminbi. Hong Kong has already been a huge beneficiary of the renminbi’s rise. With more than 1 trillion yuan in deposits and around 900 trillion yuan in liquidity, Hong Kong is the undisputed centre of the offshore renminbi market. This status, that will only grow more secure as international use of the renminbi accelerates, is driven in no small part by the roll-out of projects under Belt and Road. Of course, the nature of the renminbi market is going to change over time. The onshore and offshore renminbi markets will begin to converge as China completes the journey of reform. So some have argued that the gap between Hong Kong and onshore centres like Shanghai will diminish when it does – but I don’t believe this will be a threat to Hong Kong’s leadership of the international renminbi market. Hong Kong’s dominance of the offshore market gives it an overwhelming head start on its competitors. 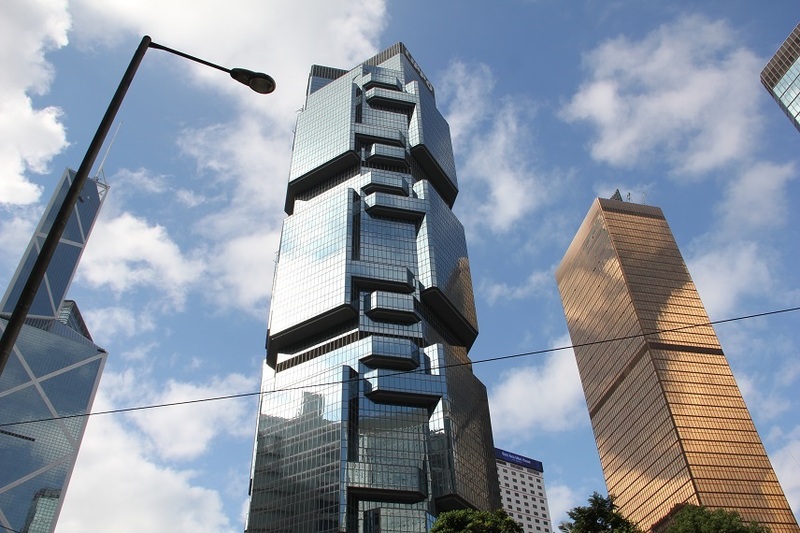 As a mature services hub with a highly developed legal system and a heavy concentration of skilled professionals, Hong Kong will be too far advanced as the foremost international renminbi centre to be displaced. By retaining these fundamental advantages while expanding its utility as a renminbi centre, Hong Kong should guarantee its continuation as the leading international renminbi hub in Asia. The final area for development concerns Hong Kong’s needs to adapt its own economy to meet the changing nature of trade as trade moves from manufacturing goods to services. Hong Kong’s success has always been built on trade, and that continues to be true today. For all that Hong Kong is regarded as a financial centre, the largest sector of Hong Kong’s economy is actually import and export services, accounting for a fifth of GDP by output. And China is by far and away Hong Kong’s biggest trading partner for goods, accounting for around half of total imports and exports. To put that into perspective, the next biggest trading partner is the United States at 7 per cent. This means that Hong Kong’s largest industry is highly correlated with trends in China’s international trade flows. Now, the shifting balance of China’s GDP from trade in goods to services will inevitably have an impact on Hong Kong’s import and export services sector, as will the changing nature of trade itself. While goods will continue to play an important role, services will gain greater prominence as a driver of global GDP. The internet and the free movement of data will underpin trade growth every bit as much as the free movement of goods. More and more products that were once shipped physically can now be sent digitally, and services that once could only be provided locally can now be delivered remotely. Technology is changing the way business operates and altering the way we trade goods and services across the globe. Trade in goods has been a cornerstone of Hong Kong’s growth and will continue to be a key factor behind Hong Kong’s formidable strength as an international trade and financial hub. Equally though, the increasing contribution of China’s service sector to its GDP will benefit Hong Kong in a number of different ways as we adapt. The evolution of trade nonetheless presents considerations for the future shape of Hong Kong’s economy. 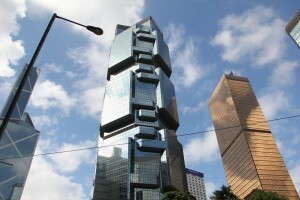 The ability to adapt to new technology and changing consumer patterns will contribute to Hong Kong’s competitiveness. Some of these forces will work – and are already working – in Hong Kong’s favour. As China becomes a nation of consumers, tourists, pensioners and investors, there will be a great demand for services which Hong Kong is already highly equipped to meet – particularly in health and education. But there will also be forces that we cannot yet fully anticipate, but which investment in an agile and flexible economy can equip Hong Kong to handle, as it has so many times in the past. The focus on innovation, research & development and the creative industries in the recent Budget the Financial Secretary presented was a welcome sign that the administration understands this need. Hong Kong has nothing to fear, but everything to gain. And increased investment in all of these areas will add much needed impetus for technological advancement and preparedness for the changes to come… I truly believe Hong Kong has nothing to fear and everything to gain. Hong Kong’s traditional assets combined with its new advantages represent a potent mix that other centres simply cannot replicate. Hong Kong’s proximity to China and its unrivalled access to Chinese markets provide a once-in-a-generation opportunity to cement old relationships and forge new ones, entrenching the benefits of incumbency before other centres have a chance to catch up. The Belt and Road initiative is tailor-made for Hong Kong to capitalise on the depth of its markets, its extensive expertise and the maturity of its financial institutions. And the acceleration of renminbi internationalisation will make it more, not less likely, that Hong Kong will retain its position as the principal offshore renminbi centre in the world. At the same time, the growing stature of the Pearl River Delta, and the increasingly porous nature of its borders, place Hong Kong at the centre of potentially the most powerful urban growth engine in the world in the next 25 years. These are highly significant advantages that, taken together, should elevate Hong Kong not just above its current rivals, but its future competitors as well. This is an edited speech given by Stuart Gulliver, Group Chief Executive, HSBC Holdings, at a conference held by the Project Citizens Forum in Hong Kong on April 15. Photo: Pictures from VOHK, Trade Development Council and HSBC Holdings websites. Be the first to comment on "How can Hong Kong stay globally competitive?"